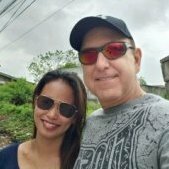 If one is getting married in Philippines and they are a US Citizen only, can you get a Cenomar from PSA? I am not familiar with this process, and was told different on another forum that US Citizen needs a Cenomar. I used to think that psa only keeps ph citizen records but since you asked this.. I have found this... Seems like first hand blog.. Anyway.. You can get cenomar online and it's cheap.. So do you as a US Citizen need the CENOMAR to get married now? I thought US Citizens couldn't get one, did things change? If things changed it happened many years ago. Quezon City hasn't accepted the Affidavit from the embassy for a number of years, requires a CENOMAR from the foreigner. So my next question is: "How in the world can the PSA issue a CENOMAR for a US citizen? They is no record of marriage or divorce kept by any governmental agency in the USA? I was required to present one to the local registrar. It was on the list of required documents for the marriage. It was to make sure I wasn't married to another filipina. They ran it and we submitted a copy of the CENOMAR in my name. It showed that I was not married. They need it for the Philippine side, not the US side. The registrar mentioned that she has seen foreigners who were previously married to a filipino try to get away without getting the annulment. Nowhere in that topic was it stated it wasn't available IF a foreigner was to request a CENOMAR .. everyone posted back to get the affidavit from the embassy instead. That falls in the the "he said - she said" gossip realm .. no facts. I am getting married on Midanao in July. One of my requirements is a CNI (Certificate of No Impediment). My fiancé was told a CENOMAR was needed for this. I sent her an official sounding email authorizing her to request a CENOMAR. She took that email with a copy of my birth certificate and it cost her 400 php for both of our CENOMARs. She had no problem. My guess it is to prove I am not married to any other Filipina. I hope this helps. BTW...some of the great people from this site helped me with questions regarding all of my preparations. 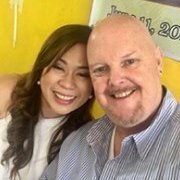 I married my wife in the Philippines in 2016 and the town where we got married only needed the affidavit from the US embassy and a CENOMAR for my wife in order to issue the marriage license. It is my understanding that it is left up to each individual town what they will accept as evidence of no previous marriages from a foreigner. Some accept the affidavit. Some don't. I have even heard (don't know if this is true or not) in some towns they will only accept it if you slip them a few pesos under the table. I was not aware a foreigner could get a CEMONAR until now. Things may have changed but the way I described it above is how things were to the best of my knowledge 3 years ago. One word of advice for you. Apply for a national copy of your marriage certificate and pay the expedite fee asap after the city has their local copy available. The sooner you get it the sooner you can prepare your I-130 and it takes time to get the marriage certificate even with expedited service. Thanks! Any help speeding up the process is greatly appreciated.